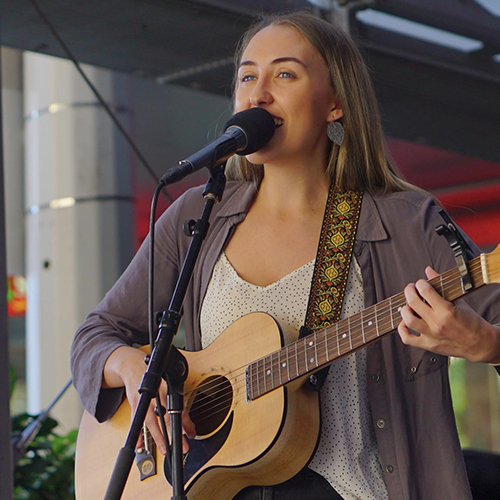 A young singer-songwriter from Brisbane, Sarah Bel is striking the attention of an increasing community of fans with her creatively written tunes. Her extraordinary musical recipe combines folk and pop flavours with the experimental addition of some captivating ambience and creative charm. With edgy lyrics united with the gorgeous tones of alternative folk, Sarah Bel’s music creates a musical grace like no other, driving her listeners into an entire new state of musical awe. While continuing to write her enchanting folk tunes, Sarah is getting increasingly plugged into local gigs in Brisbane and Gold Coast suburbs, and is also on the way to releasing her highly anticipated first EP by the end of the year.